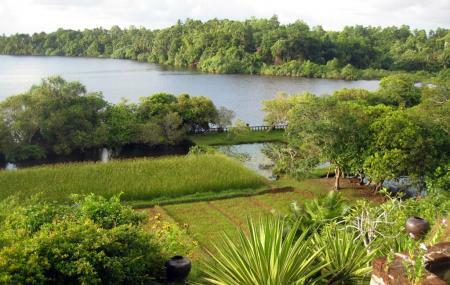 The Lunuganga Estate was home to renowned Sri Lankan architect late Mr. Geoffrey Bawa. The gardens are open to public and the buildings on the estate have been converted into hotels. You must visit this place if you are an architect, a fan of architecture or an admirer of all things fine! Please do not spoil the architecture by showcasing your graffiti skills! Bentota Railway Station, and from there tuk tuks or taxis can be hired. Lunch and snacks can be made available at the estate, book in advance. People normally club together Spa At Saman Villas and Kosgoda Sea Turtle Conservation Project while planning their visit to Lunuganga.